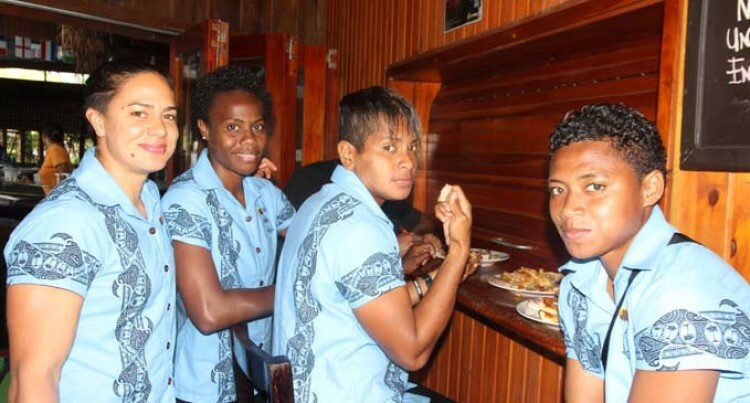 To represent Fiji at the Olympic Games means more than anything to Lavenia Tinai. For her making the final 13-member squad was something that meant more to her than the five years she had played for the national women’s rugby sevens team. Tinai is among the final batch of players that leave the country today to meet up with their team mates in Santiago, Chile where they go through their final training phase before heading to the Olympic Games in Rio de Janeiro, Brazil. The Wainibuka, Tailevu lass who also has maternal links in Yasawa-i-Rara says, this was something she had been looking forward to. “This is a dream come true because the last world cup we didn’t make it because we had to go and work on some other things. I am just looking forward to go out there and play my heart out for my country,” she said. Tinai was at Beqa Island on Friday and said she was overwhelmed with the support the people had given them. “Training on the island was good especially with people cheering us on from the sideline. “We’ve been looking forward and we’ve been training hard with the boys. Everything they’ve been doing, we’ve been doing that as well and I have no doubt that when it comes to August 6 we will see what we are going to do on the field,” she said. Tinai has taken Pastor Tui Kolinisau’s words into consideration and believes that with hard work anything is possible. “All we have to do is to have the right attitude and right mindset and also to put God first like what Pastor Kolinisau had preached to us today. If God is with us than who can be against us,” she added.